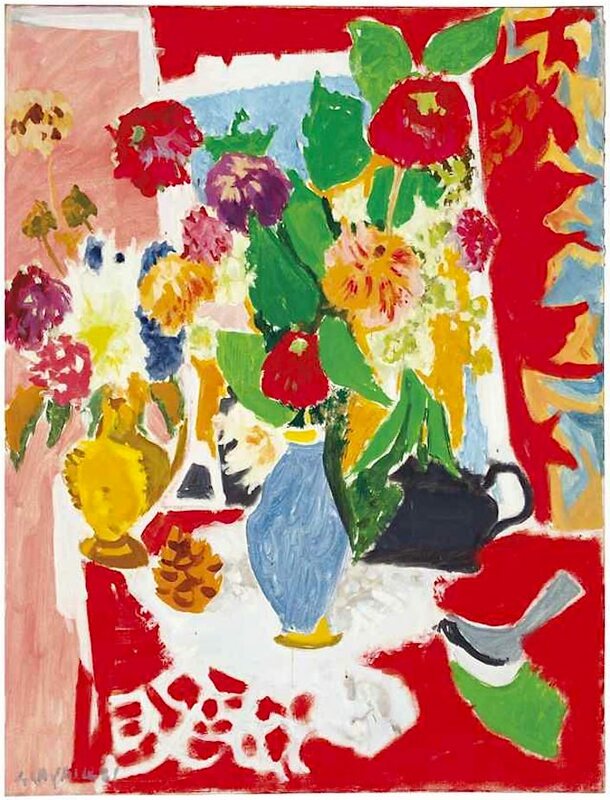 As I was catching up at Christies, I went down the rabbit hole and thought I’d share a few favorites from the many upcoming auctions. 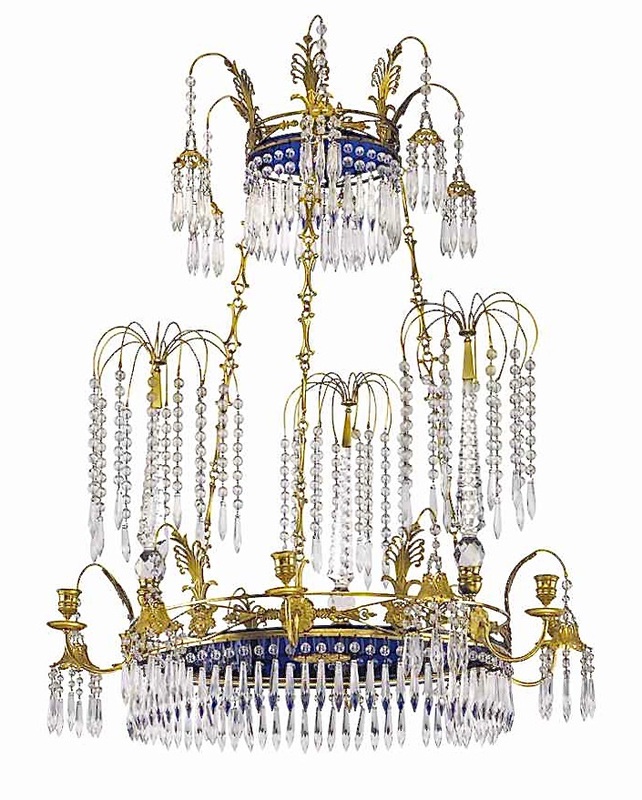 The decorative arts covers such an incredibly wide range of objets that reflect the history, tastes and lifestyles of their time. One such genre I have always found fascinating is boxes. 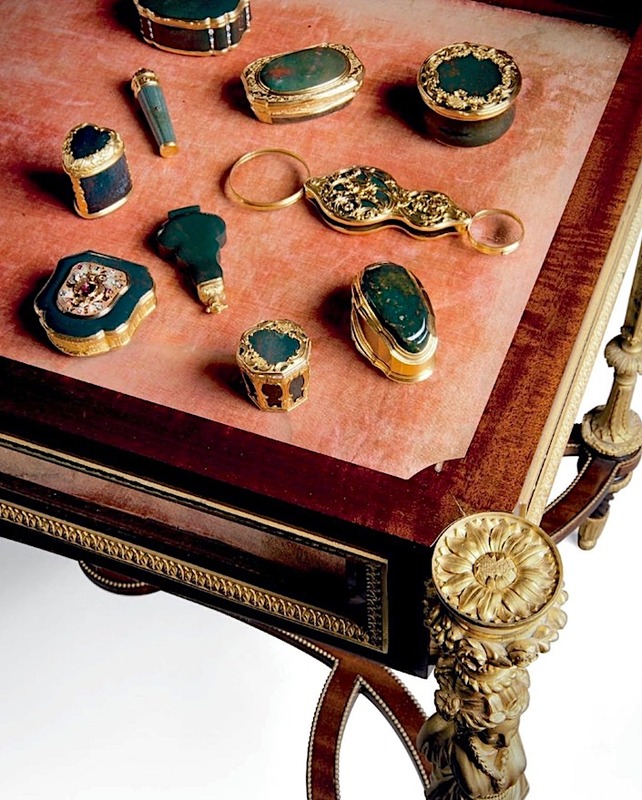 And while this is a broad category, which the Metropolitan Museum covered with a charming exhibit several years ago, the upcoming Opulence sale at Christies in London offers an enormous selection in the singular category of snuff boxes, the required accessory du jour in fashionable 18th and 19th century circles. 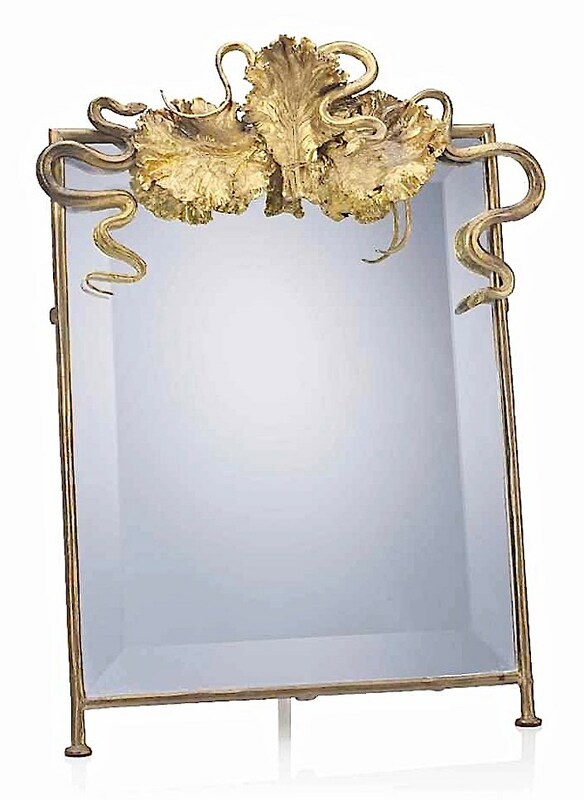 one of the most acclaimed artisans of such decorative accoutrements who worked extensively for the Royal Court of France. A detail below shows the amazing detailed work. 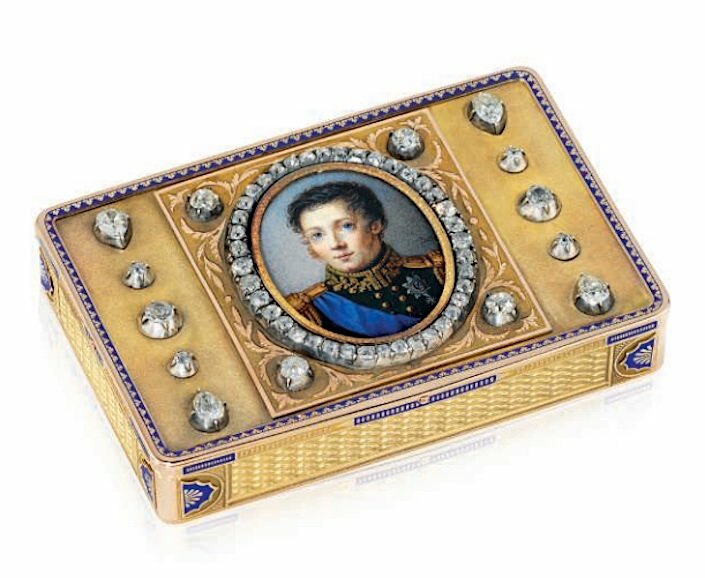 Popularized by a long list of disparate luminaries such as Napoleon, Mozart, Ben Franklin, Charles Darwin and a plethora of Popes, using snuff became de rigeur as did owning chic boxes in which to carry it. 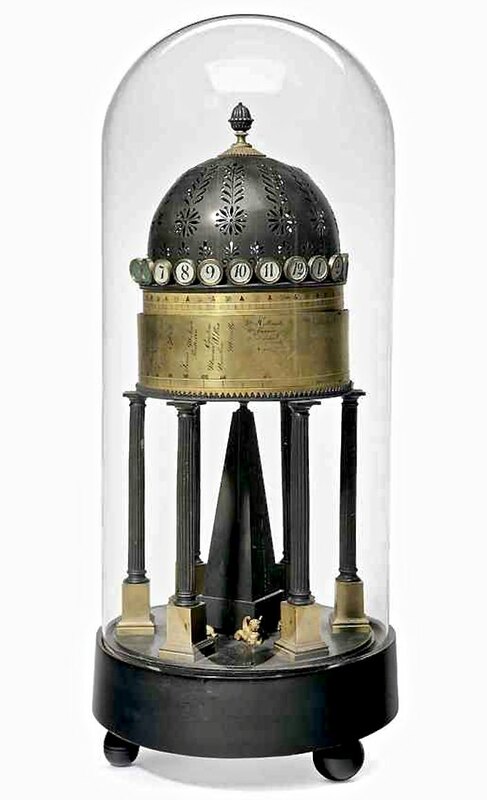 While many of the boxes are extremely elaborate, some, such as the German 18th century example below, are surprisingly modern in their elegant simplicity. 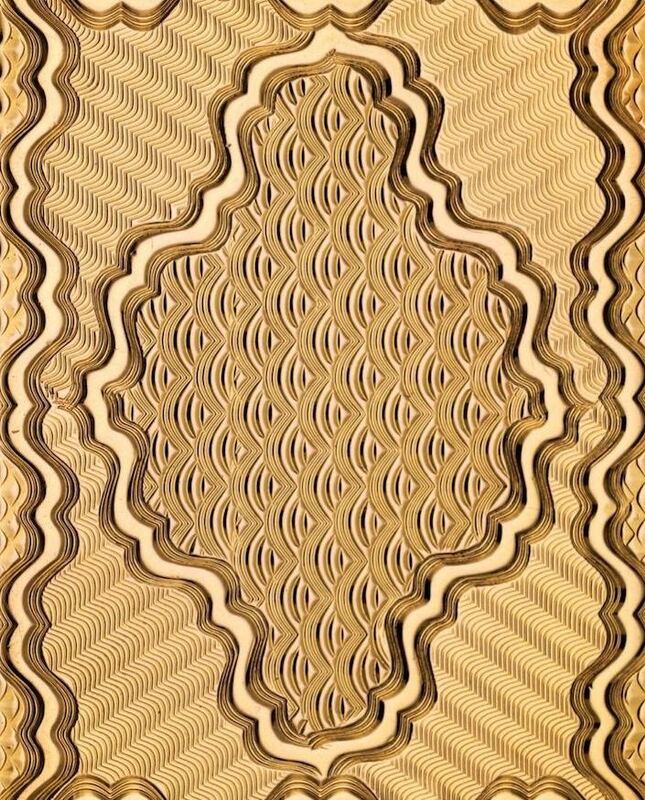 Here panels of bloodstone are engraved with wave patterned reeding. 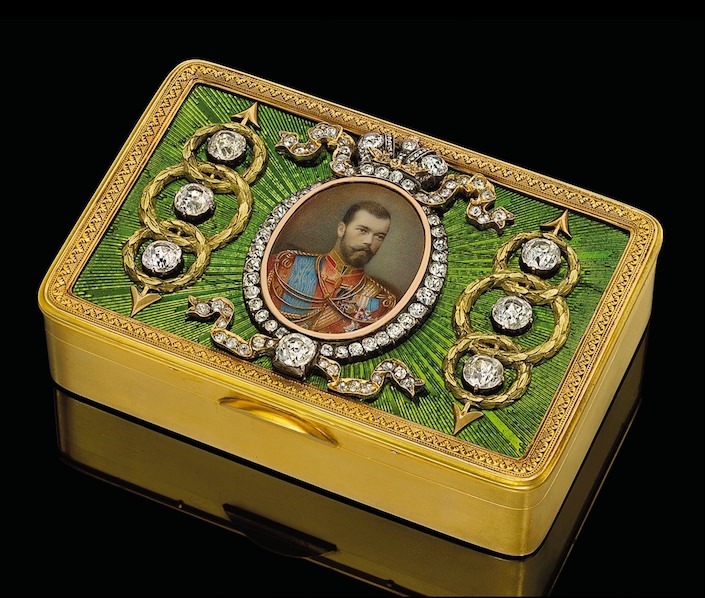 Examples with portraits of important figures are often considered presentation boxes, given as gifts of diplomacy or to recognize a particularly important event such as the Swiss parcel-enameled gold snuff box below with portrait believed to be Prince Constantin Lubomirski, a Polish colonel in the Russian army. As an aside, many celebrated makers throughout the world made elaborate examples of presentation boxes. 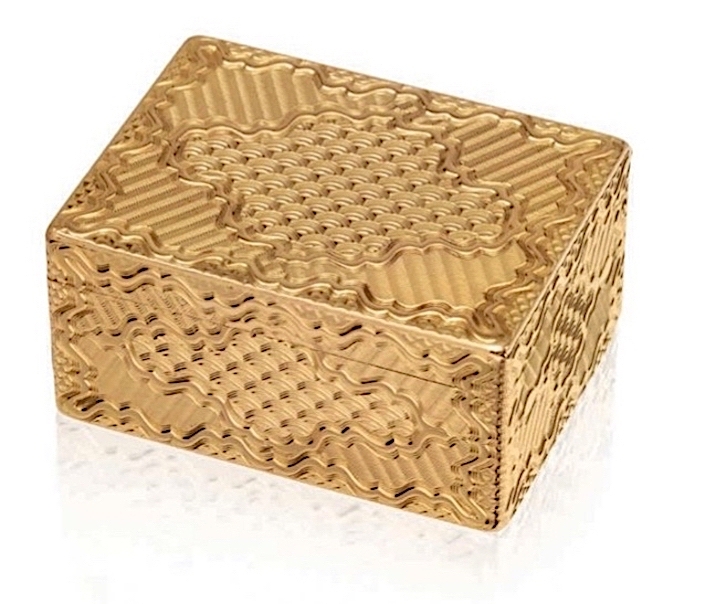 Below, this rare Fabergé gold guilloché (a technique we also saw on Timothy Corrigan’s new faucet collection for THG) box from 1890 sold at Christie’s in 2011 for £385,250. 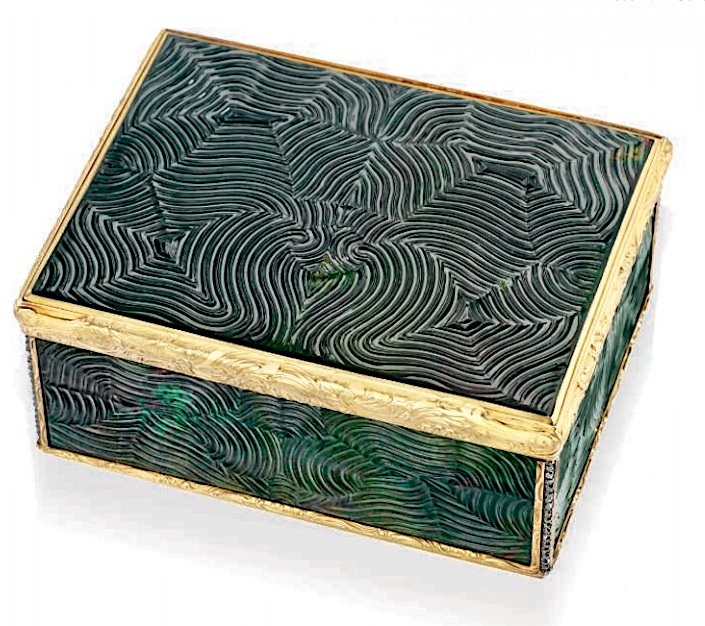 But even if you aren’t interested in the slightly idiosyncratic world of snuff boxes, there are several other interesting sales coming up at Christies here in New York. 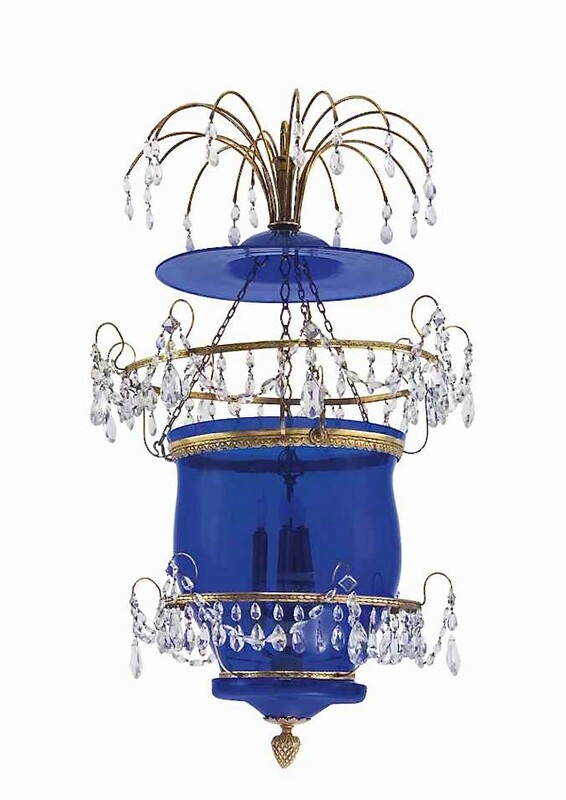 The Design auction always has noteworthy offerings. 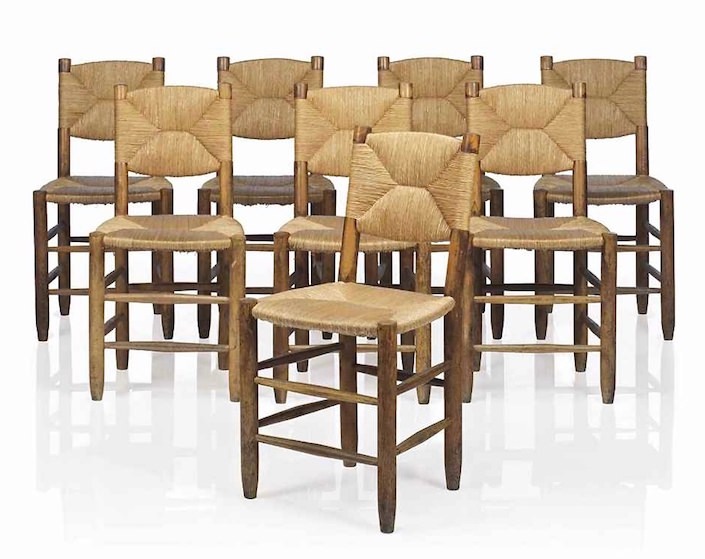 A long time fan of French architect and designer Charlotte Perriand, I immediately gravitated toward this set of oak and rush chairs. Long overshadowed by her male compatriots, she is finally getting her due. 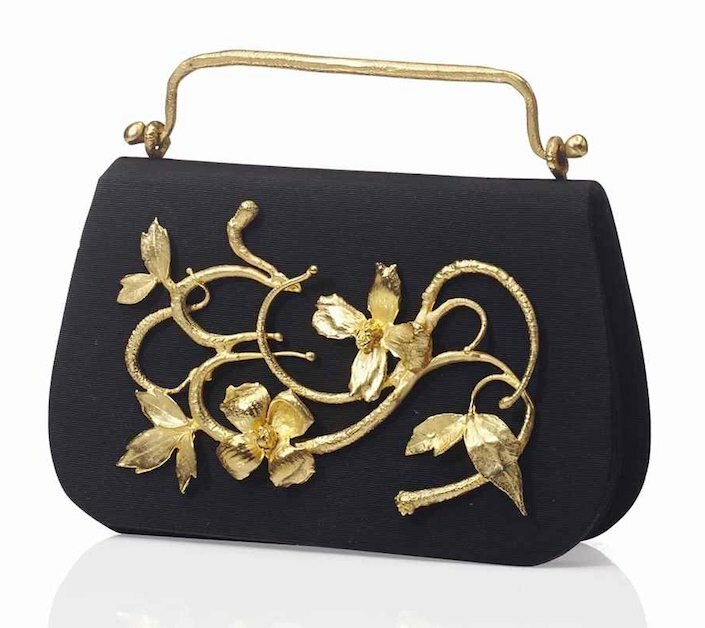 and charming silk and gilt bronze evening bag. 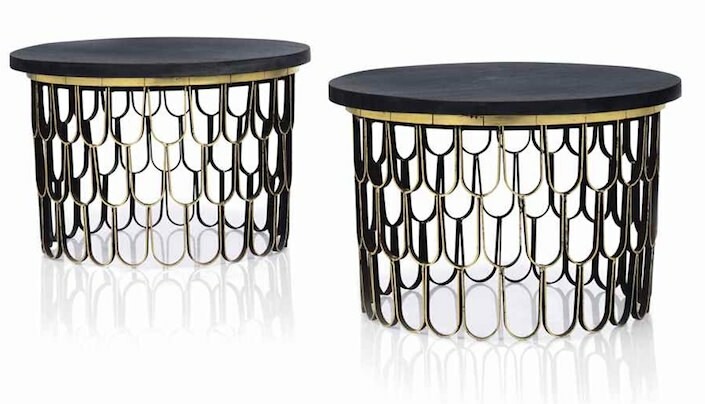 Even though they have been much imitated, Phillip Lloyd Powell and Paul Evans’ iron, wood, slate and gold leaf tables are still the best. You may remember the fabulous wooly Frits Henningsen chair in Neal Beckstedt’s chic Kips Bay room. 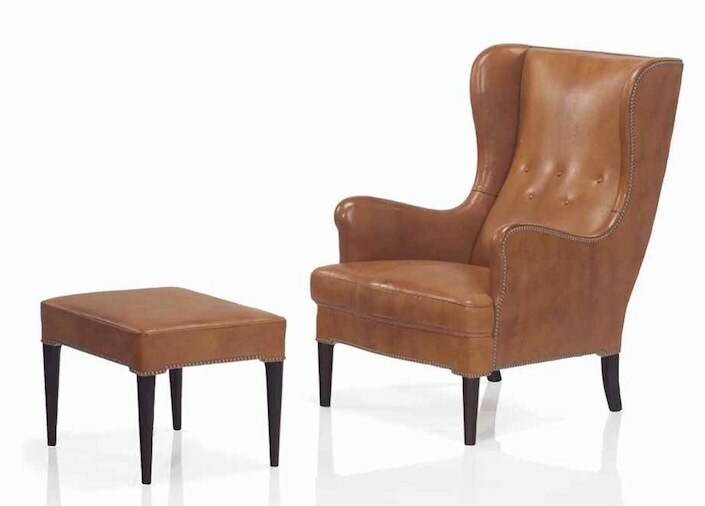 This leather wingback chair and ottoman is another stylish version from the Danish designer. You can’t go wrong with Gio Ponti. 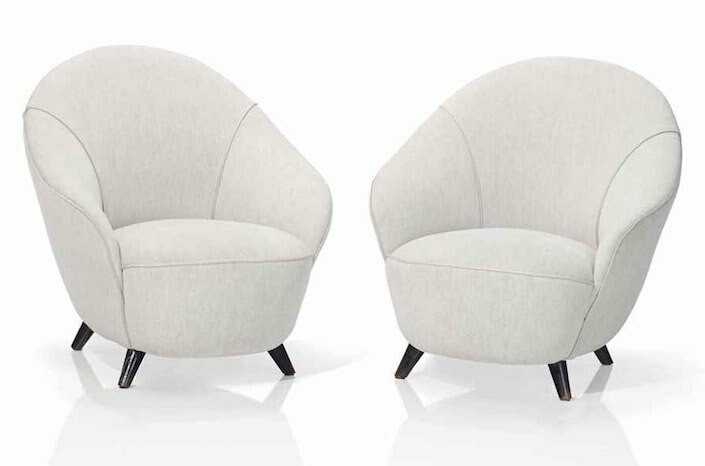 These armchairs, designed in 1936, are still, 80 years later, the epitome of modern chic! this charming 19th century still life by Eugène Antoine Durenne at a very reasonable estimate. 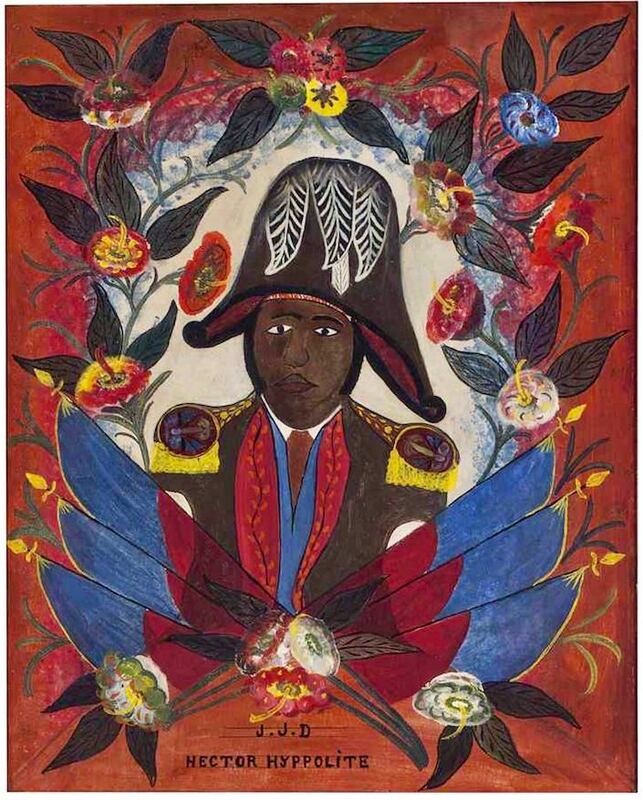 or this fantastic portrait of Jean-Jacques Dessalines by Haitian artist Hector Hyppolite. 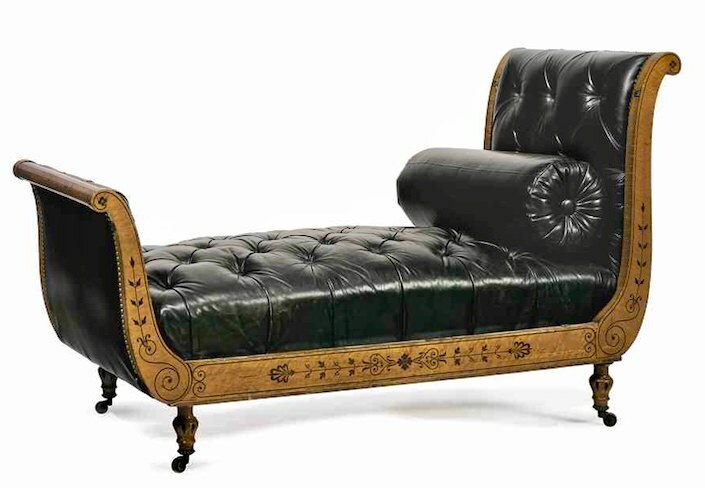 You could practice stylish lounging a la Madame Récamier in this elegant Charles X lit du jour (the name says it all). Everyone room needs an object of curiosity. This pendule cercles tournant (as you may have guessed, a turning circle pendulum that tells the time) would be a perfect pick. So, wishing everyone a wonderful weekend and happy bidding!! 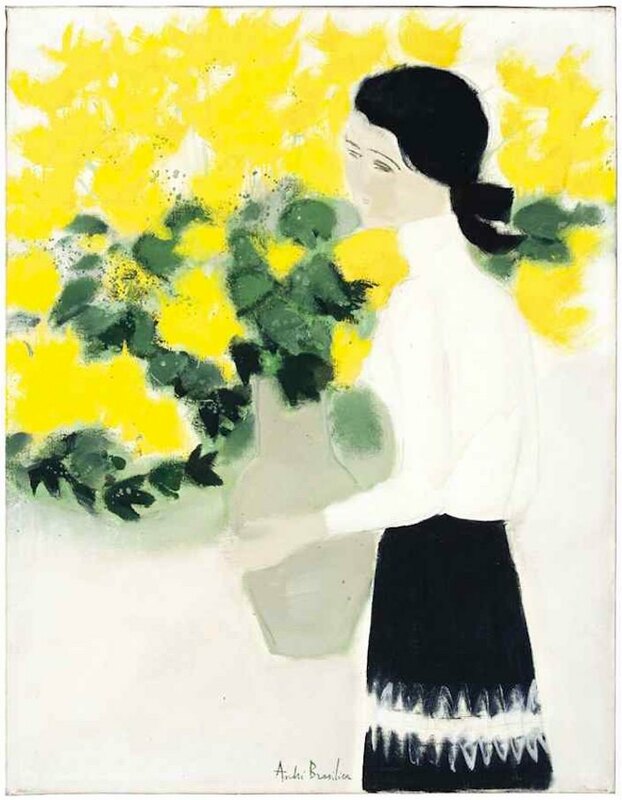 This entry posted in art, auctions, Christie's, design, furniture, interior design. 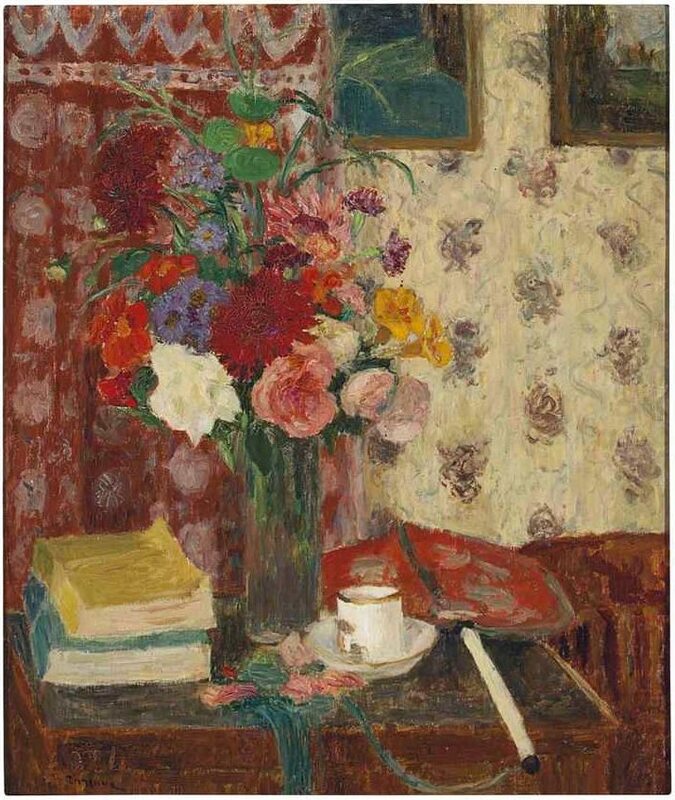 Entry Tags: art, auction, Christie's, decorative arts, Furniture, snuff boxes Bookmark the permalink. Amazing list! Love the details! Piece of art! 80 queries in 0.741 seconds.